Call 07754 219877 OR email info@thinkscience.co.uk for details and booking. NURSERY & SCHOOL - Curriculum linked science workshops for age 3-12, science shows and after-school clubs. BIRTHDAY PARTIES that are out of this world. 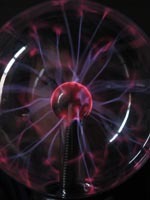 OUT OF SCHOOL - Bespoke science activities and shows for youth groups, out of school, holiday clubs etc. Explosive CORPORATE entertainment - unusual, memorable and highly entertaining stage shows, interactive demos with smaller groups and teambuilding. EVENTS - Bespoke shows and interactive activities for any event - eg family fun days, festivals, weddings. "When you make the finding yourself - even if you're the last person on earth to see the light - you'll never forget it"
"Equipped with his five senses, man explores the universe around him and calls the adventure Science". For every drop of rain that falls on Glasgow in a year, there are a million stars in the Universe. That's a lot of stars! "Thanks again, your workshops have been great! We will be in contact again soon to make more bookings"
Clare Devlin, Cleverclogs Nursery in partnership with Glasgow City Council.